Late last year, Amazon quietly launched a new service in select regions that allowed shoppers to hire a local installation professional to go along with applicable product purchases. Today, the online retailer is rebranding it as Amazon Home Services and rolling it out on a much larger scale that includes more cities and additional services. As before, customers can hire professional help with a variety of services including home cleaning, plumbing, appliance repair, home theater installation, car stereo installation and yes, even goat grazing services. In total, there are more than 700 services offered. Amazon is taking much of the guesswork and hassle out of hiring a professional. The company uses an invite-only process, performs a lengthy background check and requires partners to maintain insurance. Service pricing is upfront during the buying process and payment isn’t required until the work has been completed. 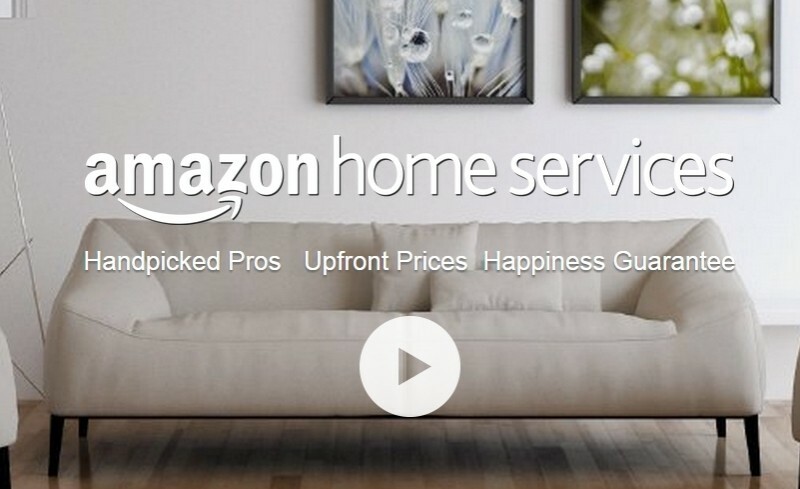 Amazon notes that all service purchases are backed by their happiness guarantee. If Amazon is unable to ensure the job gets done correctly, they’ll provide a refund. Initially only available in Los Angeles, New York, San Francisco and Seattle, Home Services is now available to shoppers in 41 states. Unfortunately, this means that several areas (like where I live) aren’t served at all and others will only have access to a select few services. Either way, this seems like the natural “next step” for Amazon and if successful, could further distance itself from brick-and-mortar stores.